Bored of running Android Nougat on your smartphone? Yearning to see what the future holds for the next iteration of the world’s most popular mobile operating system? Google has you covered for today, as the company has just announced what comes after Android Nougat. As is custom with Google, Android O is what the next OS version will be called until it finally comes to consumers sometime in Q3 2017. We can speculate on what the full name will be, and we’ve got a few months to do so as well. But what we have right now is a full developer preview and a plethora of changes that O will be bringing to Android. Google has listed the new features and APIs in Android O, so we’ll briefly touch upon several of these below. Check out our full coverage of Android O! Battery life continues to be a priority for Google in O. Android O puts additional automatic limits on what apps can do in the background in these three main areas: implicit broadcasts, background services and location updates. We discussed in detail how Google was laying the foundations for killing rogue background processes in Android Nougat, but now the company is making additional changes to rein in rogue applications draining your battery life. These changes will make it easier to make to create apps that have minimal impact on user’s battery life, so Google recommends checking out the documentation on background execution limits and background location limits for more details. 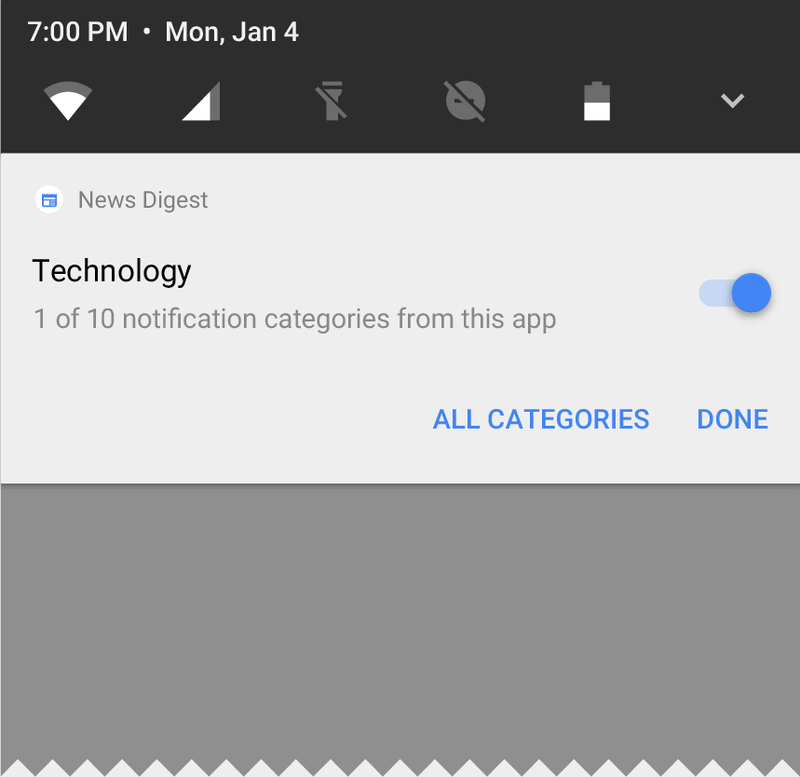 Android O introduces notification channels to provide a unified system to help users manage notifications with app-defined categories for notification content. This will allow developers to create a notification channel for each distinct type of notification that they need to send as well as to reflect choices made by users of the app. As an example, developers can create separate notification channels for each conversation group in a messaging app. Users can also manage most of the settings associated with notifications using a consistent system UI. All notifications posted to a specific channel will behave the same. Android O also deprecates the ability of the developer to set priority levels of individual notifications. Instead, one can now set a recommended importance level when creating a notification channel. Once a notification channel is created, only the system can change its importance, giving power back to the user. Users can also snooze notifications to reappear at a later time. Notifications will reappear with the same level of importance they first appeared with. Apps can remove or update a snoozed notification as well, butupdating a snoozed notification does not cause it to reappear. 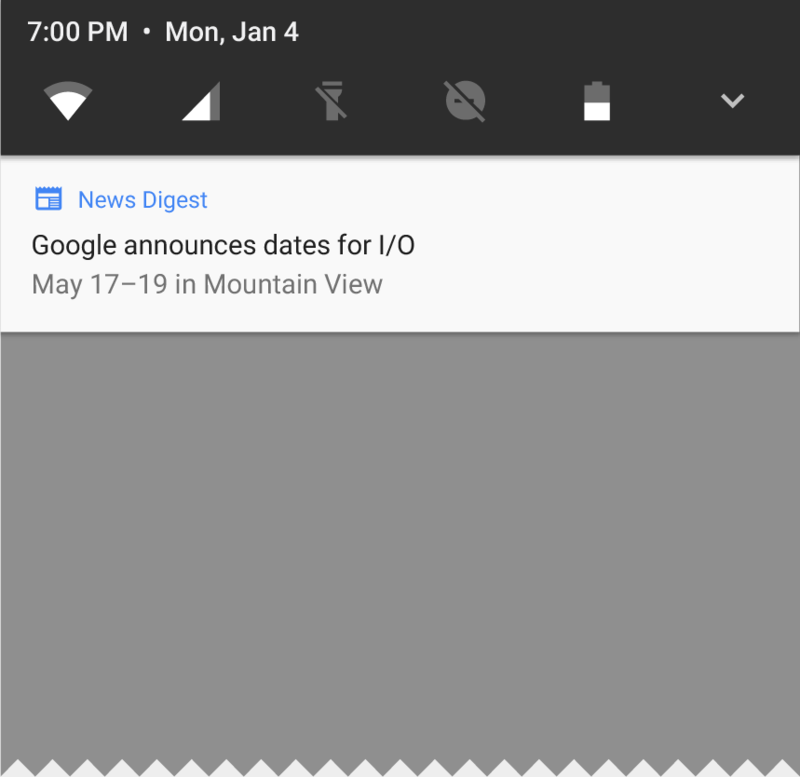 Furthermore, Android O also adds new visuals and grouping to notifications that make it easier for users to see what’s going on when they have an incoming message or are glancing at the notification shade. To us, this sounds a lot like a notification ticker that was present on older Android versions pre-Heads Up, though we will have to confirm on the same. Android O officially recognizes the role of password managers by including an Autofill API. This platform support for autofill will make it possible for users to select an autofill app the same way they select a keyboard app. Google is adding new APIs to implement an Autofill service as well. PiP display is now available for phones as well as tablets, so users can now look forward to watching a video while they’re answering a chat or any other such task. Developers can specify the aspect ratio and a set of custom interactions like pause/play. Other new windowing features include a new app overlay window for apps to make use of instead of system alert window, and multi-display support for launching an activity on a remote display. Fonts are now a fully supported resource type in Android O. Apps can now use fonts in XML layouts as well as declare font style and weight along with the font files. Android O also brings adaptive icons which can now display a variety of shapes across different devices and models. You can set a launcher icon using a circular shape on one OEM device and use a “squircle” on another. Each device OEM will provide a mask which the system then uses to render all icons with the same shape. The system also animates interactions with the icons and also uses the icons in shortcuts, the Settings app, the sharing dialog, and the overview screen. Developers of imaging apps can now take advantage of new devices that have a wide-gamut color capable display. To display wide gamut images, apps will need to enable a flag in their manifest per activity and load bitmaps with an embedded wide color profile. We’re been clamoring for this feature for months, and it appears Google has finally answered our prayers. Android O also supports high-quality Bluetooth audio codecs such as the LDAC codec from Sony. Android Police has confirmed via a statement from Google that the update brings aptX support, which is a high-quality Bluetooth codec from Qualcomm. New Wi-Fi features include Wi-Fi Aware, also known as Neighborhood Aware Networking (NAN). On devices with appropriate hardware, apps and nearby devices can discover and communicate with each other over Wi-Fi without an Internet access point. Google is also extending ConnectionService APIs from the Telecom framework to enable third party calling apps to integrate with the System UI and operate seamlessly with other audio apps. As an example, apps can have calls displayed and controlled in different kinds of UIs such as car head units. Android O works towards building a more reliable and predictable model for “arrow” and “tab” navigation. This is in light of the official availability of Android apps on Chrome OS which features hardware keyboard on its devices. You can view the full documentation here. AAudio is a new native API that’s specifically designed for apps that require high-performance and low latency audio. The Developer Preview contains an early version of this API to get feedback from developers. Android O enables multiprocess mode for WebViews by default, and adds an API to allow the app to handle errors and crashes. Developers can also opt in their app’s WebView objects to verify URLs through Google Safe Browsing. Android O supports several new Java Language APIs. In addition, the Android Runtime is faster than ever before, with Google claiming improvements of up to 2x on some application benchmarks. Accessibility services can also respond to alternative input mechanisms such as a directional swipe gesture along a device’s fingerprint sensor. This means that third-party developers can take advantage of fingerprint gestures, officially, to perform their own actions! If you’re really really itching to try out Android O, you can try it out with the system images provided by Google for the Nexus 5X, Nexus 6P, Nexus Player, Google Pixel, Pixel XL and Pixel C devices. Additionally, you can also download the updated SDK and try out Android O on the official Android Emulator. There’s also an emulator for testing Android Wear 2.0 on Android O as well. Google heavily insists that this developer preview release is for developers only. It is not intended for daily and consumer use (but that likely won’t deter XDA readers). As such, these builds are available for manual download and flashing only. Enrollments through the Android Beta program will open once Google comes closer to a final product, so Android Beta is not currently available for Android O. There will be 3 additional Developer Previews prior to the final release sometime in Q3 of this year. The next Developer Preview will be released sometime in the middle of May, so we’ll have 2 months to play around with this new update before Google treats us to some more Oreo goodness. For download links and flashing instructions for Android O Developer Preview 1, head over here. We’re excited about Android O and the changes it brings to the Android ecosystem. This is the first of of what will be many more developer previews, so we can sure that features introduced in here will be polished by the time they reach the end consumer. 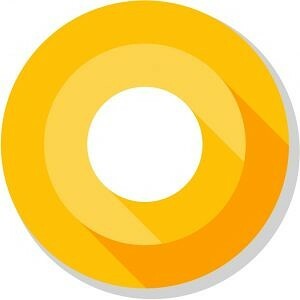 What are your thoughts on Android O and its Developer Preview 1? Let us know in the comments below!